This is not just a pretty homepage. It’s your marketing workhorse and your hub of activity. Every inbound marketing step leads back to this asset. Don’t fall into the trap of thinking a great Facebook page can replace your website – click here to learn why. Guess what’s at the start of your marketing efforts? If you guessed your blog, you’re absolutely right. Remember, the start of the inbound marketing continuum should be a wide net, and your blog is perfect for drawing the masses into it. It’s a top asset for drawing those strangers (soon to be customers and brand promoters) in from the search engines and social media. 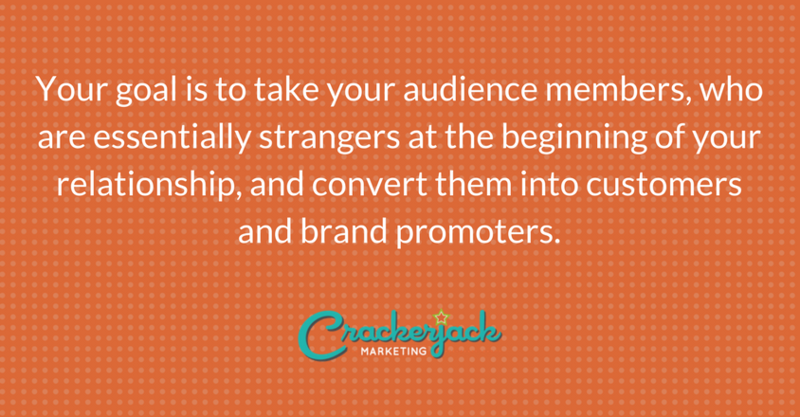 You’ll even attract people to your blog via word of mouth. The content you post to your blog is critical. While it may seem smart to write specific details about your products, services, and deals, doing so can actually turn your audience off. Instead, create content (loosely) around your products and services. What does that mean? Essentially, you want to write about themes of interest to your audience. For example, if your business wants to attract customers who have products and services to sell to teens, your content may focus on such topics as marketing to teens, teen-friendly social media platforms, and marketing via social media. More and more people of all ages are using social media not only to learn about companies, brands, products and services but also to spread the word about those they like and to make actual buying decisions. This start-of-the-continuum asset serves a dual purpose: discovery, for the strangers who will become your customers, and delight, for delighting people who have already purchased from you. Beyond the blog, you’ll want to have some other types of content on your website, ideally meatier, jucier content that people can sink their teeth into. 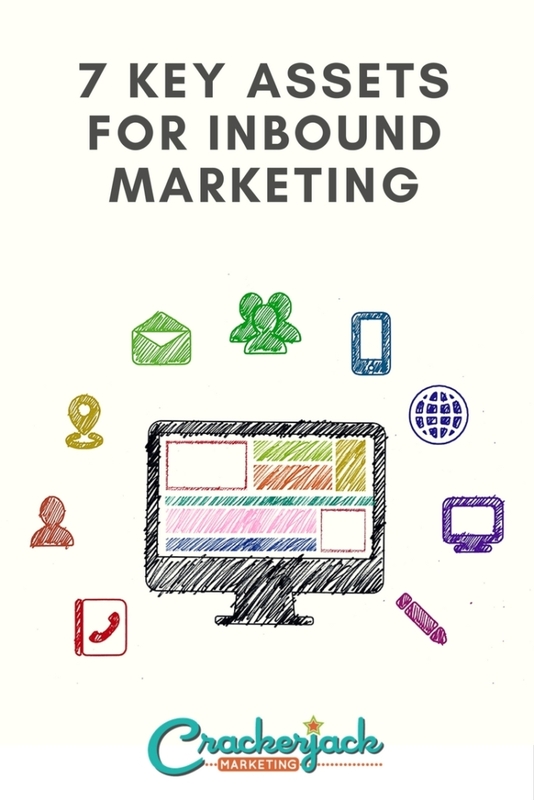 Whitepapers, eBooks and downloadable worksheets are all great content which can help move prospective customers through the inbound marketing continuum. And asking people to download this content is part of the next asset, which are…. What do you want your audience to do? What is the next step? The answer may seem obvious to you, but if you want to move your audience members through the inbound marketing continuum, you’ll need to tell them, and tell them, and tell them again what you want them to do next. This means using calls to action – a request you make of your visitor – on your website, blog, and in your emails. You’ll even want to use them from time to time in social media. Where will they lead? Your calls to action should take your prospects to a dedicated landing page that you use to capture leads before you give them what they’re looking for: advice, worksheets, event invitations and more. How many emails are enough? When should you send emails? That all depends on your goals. This eBook from HubSpot is an excellent introduction to lead nurturing, covering email as well as social media, other content and events. You also have many other digital platforms at your disposal. Any platform that reliably moves your prospects through the marketing funnel is a good choice. While there are many to consider, SlideShare is a good choice, especially for business to business. Podcasts are great for boosting engagement and delighting your current customers, and don’t forget events. Events, both online and offline, are useful throughout the funnel for attracting, engaging, converting, and delighting your customers and prospects. 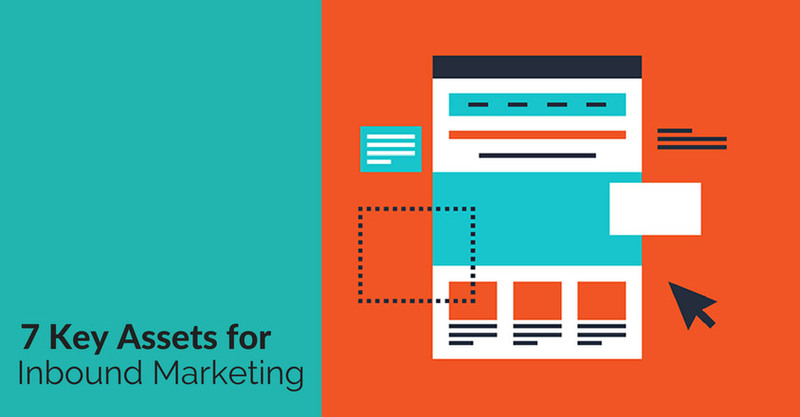 What other inbound marketing assets are you currently using? What’s worked well for you? Please share your thoughts in the comments. This post is third in a series on how to use inbound marketing in your company marketing efforts. You may also be interested in the first post, What Is Inbound Marketing, the second post, Creating Customer Personas for Inbound Marketing, and the fourth post 4 Steps to Creating a Content Marketing Engine.